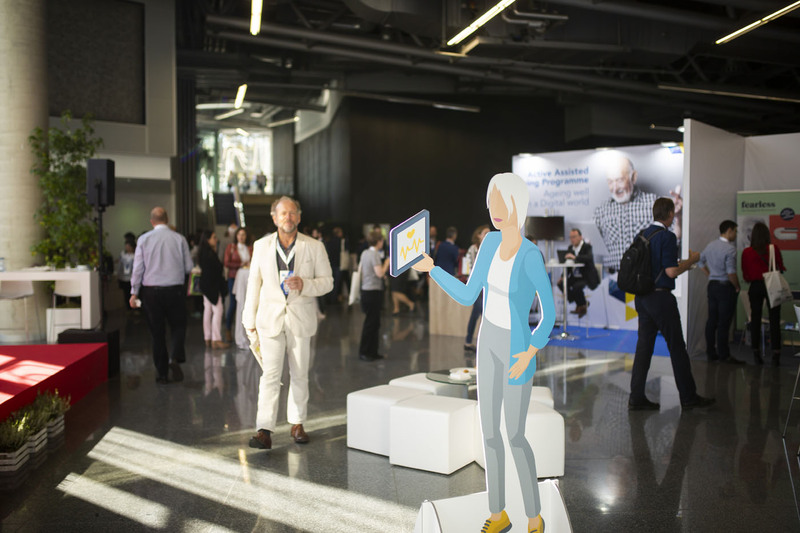 The AAL Forum is an unmissable opportunity for exhibitors to showcase new technological advances and innovations and the latest research results in the field of active ageing to potential investors, other SMEs, industry and the research community. And the AAL Forum 2019 is expected to be the largest yet, with up to 100 exhibitors and more than 800 delegates taking part in the event, making it a must for all exhibitors wanting two full days of exposure to industry stakeholders, end users and investors who are looking to get their hands on the next big thing and invest in solutions designed for active ageing. Your stand at the forum is your stage. It is an excellent way to attract potential buyers, investors and collaborators with interactive demonstrations, the perfect platform for you to explain, present and answer questions in detail, in a relaxed environment. As well as giving you this opportunity with investors, an exhibition booth will also allow you to meet hundreds of other developers, scientists and end-users who will be eager to share their opinions, compare innovations and learn about how we perceive and manage an ageing demographic in the digital world. Exhibitors are also able to play an active role in the programme of interactive workshops that takes place over the course of the forum. This will give you the opportunity to place your ideas at the heart of the ageing agenda and actively shape the future of AAL post-2020. Previous exhibitors at the AAL Forum have called it a “buzzing event” that “excellently promotes” tomorrow’s innovations for the ageing population and helps “create those important networks, collaborations and promising friendships” both within the AAL community and with national, regional and local bodies. Booths are available to both projects with a product or an idea that aims to tackle the gap between technology and ageing, as well as to businesses that have experience in or are looking to ground themselves in the industry. Registration for booths is NOW OPEN and early bird prices are not to be missed!